OVERVIEW: Fishing has been good the past few weeks. Water temperature will be in the upper 50’s to the lower 60’s. Baitfish will be in shallow water especially at night this month. Most species of fish will begin to spawn this month as water temperature rises. Largemouth Bass- Fishing will be good this month. Best lures will be jigs, drop shot rigs, crank baits, swim baits, Ned rigs and jerk baits. Most largemouth bass will be caught on secondary points, shallow coves, stumps and docks. Best depths will be from 2 to 15 feet deep. Some largemouth bass will start to feed at night this month. Rocks, stumps and shallow brush are a key factor to finding bass this month. Please release the bass when they are spawning. Smallmouth Bass- Fishing should be good. Best areas will be rocks, stumps, ledges and secondary points. Best lures will be jig & pig, jerk baits, hair jigs and medium running crank baits. Best areas will be in the mid to the lower sections of the lake. 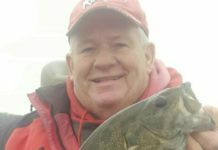 Most smallmouth bass will begin to move to their spawning areas this month. Cloudy days are good times to try your luck! Light line will increase your chances to catch smallmouth bass. the larger creeks. 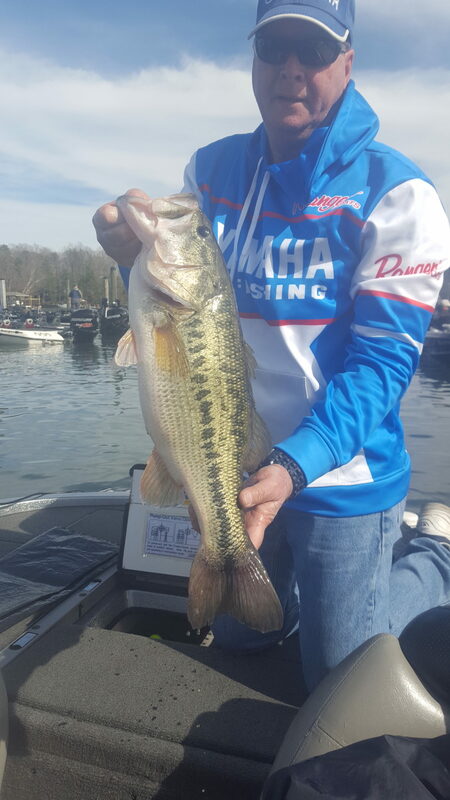 Best lures will be jerk baits, Alabama rigs, swim baits, and Zoom flukes fished on 1/4 to 3/8 oz. lead heads. The best depths will be from near the surface to 30 feet deep. Try to find areas with the largest concentrations of baitfish. Fishing at night will also work this month. Live bait fish on planner boards will also be good this month. 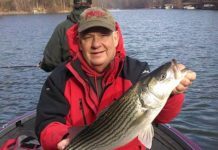 Crappie- Fishing for crappie will be great this month. They will be found 2 to 12 feet deep. Best areas will be in the main creeks around docks, fallen trees, and brush piles in the mid to upper parts of the lake. 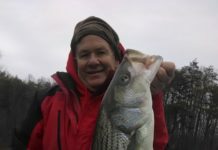 Small live minnows and 1 ½ to 2 inch tubes or shad shaped plastic lures fished on 1/32 to 1/16 oz. lead heads will work best to catch crappie this month. Spider rigging is also a fair method to catch crappie this month. TIP OF THE Month: Fishing shallow during the afternoon is usually the best time to fish. The fish will relate to the super shallow areas because of a slightly warmer water temp and because they will be looking for areas to spawn. Make sure you wear your life jacket. You can never be too careful when boating. Remember to be courteous and obey all the boating laws. Please practice catch and release! PLEASE TAKE A KID FISHING!